Heeeeyyyy friends, today I’m sharing my JULY | LIFESTYLE FAVORITES with you!!! These are things I was loving for the month of July. I love reading and watching these types of video on YouTube & reading other bloggers blog posts on this subject. For me I get ideas of products that I didn’t maybe know about or skeptical of trying. It’s basically like reading the review section on a product and seeing how some of your favorite people liked it. Well the next few things I’m sharing (in no particular order) are things I LOVED for the MONTH of JULY! This summer I bought my first ever pair of Birenstocks and I absolutely l-o-v-e them!!! They are so comfortable and mold to the shape of your feet, they fit like custom made sandals. *Right away they are stiff and not so comfortable but, if you wear for 2-3 days they will start molding to your feet. They sales associate said, the sole is heat activated. All last summer if I was wearing flip-flops one day, then the next day I needed to wear shoes or by the end of the night my ankles, knees and back were hurting. 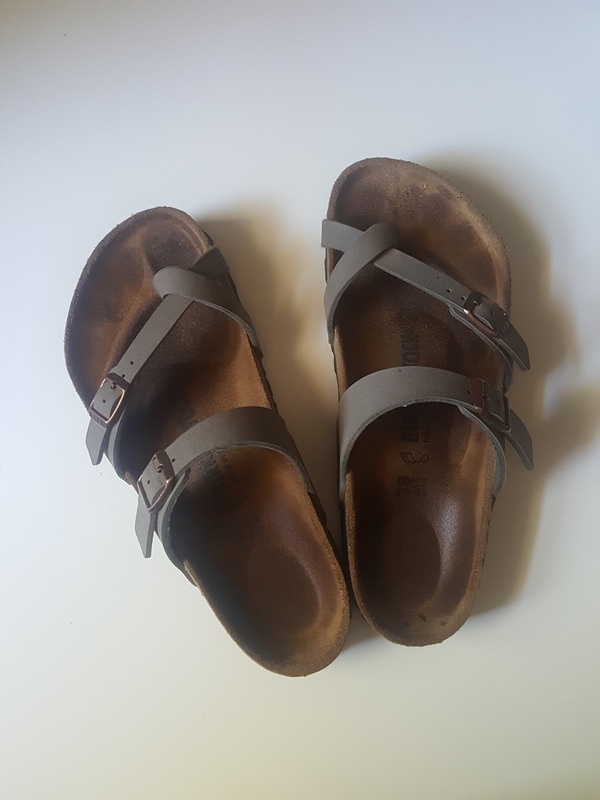 I know I have the feet that require comfort & support over fashion and I feel I get best of both world with these Birkenstocks! On our recent Family Trip to Kansas City, I wore these sandals 95% of the time and my feet didn’t hurt at all, and we did a lot of walking. I think because the weather is nice that we are busy outside, kids are playing and by the time we come inside & are done with work I don’t feel like reading. 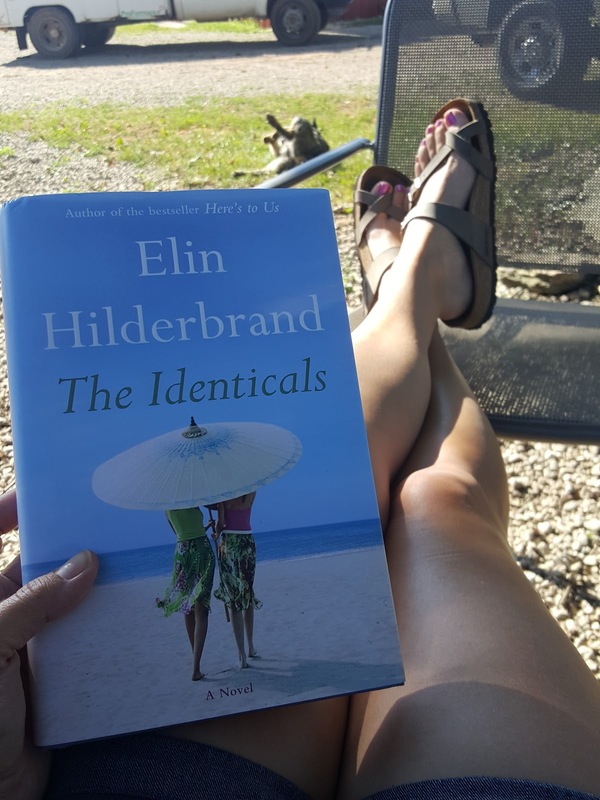 ELIN HILDERBRAND just came out with her latest book, THE IDENTICALS! I’m not a huge reader but I’m trying to work more reading into my daily habits and Elin Hilderbrand books are the perfect, light hearted stories that I’m looking for. One of the things that I love about her books is it doesn’t take chapters upon chapters to get into. She builds the characters and gets right into it and the rest of the story unfolds while still keeping your interest. After reading her books, you’ll definitely want to visit Nantucket! 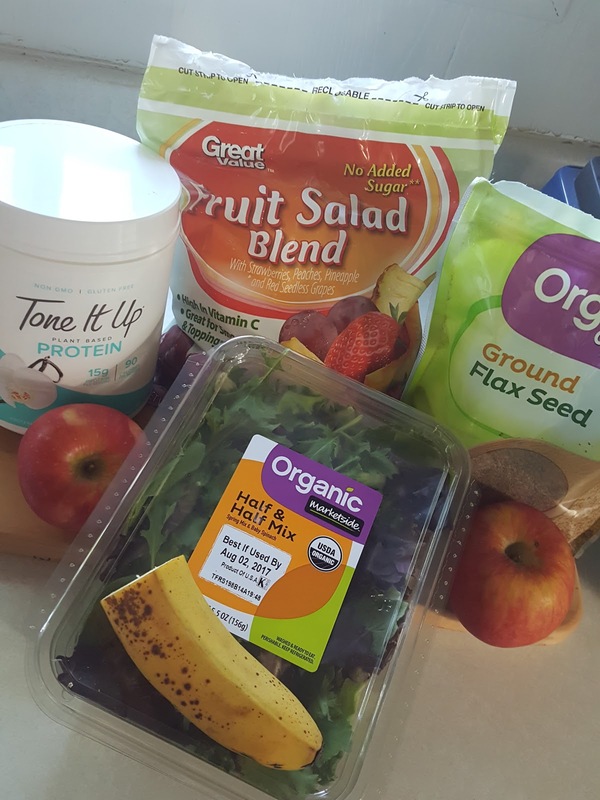 Smoothies, I have been all about smoothies this past month! And not just making one at a time, making 3 servings worth and putting them into glass mason jars to accompany breakfast, lunch & dinner. They keep perfectly in the fridge all day! What I do is drink one of these delicious smoothies before I eat breakfast-lunch or dinner. Some people like to reset with just drinking smoothies & lots of water, especially if you went off the deep end over the weekend. But I’m too physically active to just drink smoothies, so for instance I may have some scrambled eggs & toast with my smoothie. Lunch I may have 1/2 a sandwich or pretzel & string cheese and a smoothie. For dinner I drink my smoothie first, then have whatever I made for the whole family. The idea is your getting full just from all the dense nutrients that are crammed in these smoothies that when it comes to other meals you don’t eat as much. I do not starve myself AT-ALL, I just make better choices when it comes to my protein & carbs. I still eat gluten, I still have my daily candy and I don’t follow any crazy diet plan and if I want a burger or an enchilada plate at our favorite Mexican food restaurant, I will let myself…just not everyday! Place the water, greens and apples in the blender and blend until liquefied. Next add you frozen fruit, banana, protein, flax & stevia and blend. One all combined place equally in 3 glass mason jars or whatever cup and air tight lid you have. I’ve shared this product with you all before but, I L-O-V-E this products!!! 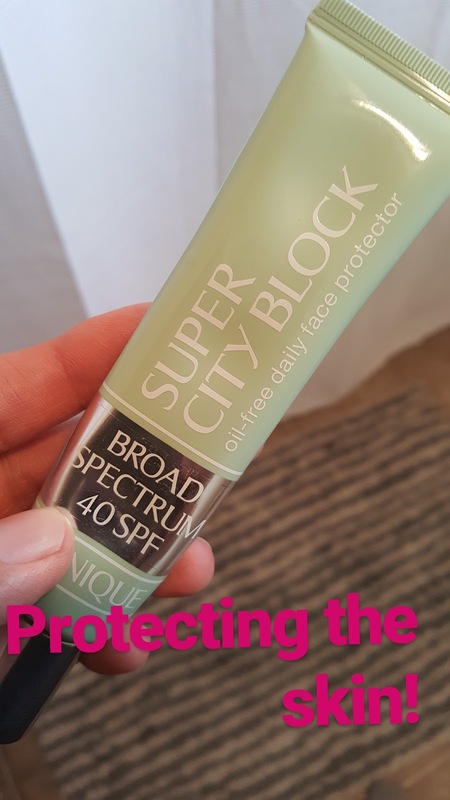 Clinique’s Super City Block is the perfect sunscreen, it’s not white, it’s SPF 40 and it’s oil free. I consider it another part of my daily skincare routine, after my moisturizer. Then I’m protected for the day and I feel good that I’m taking care of my skin! I hope you all enjoyed my July favorites and these are all products I used just about everyday for the month of July. 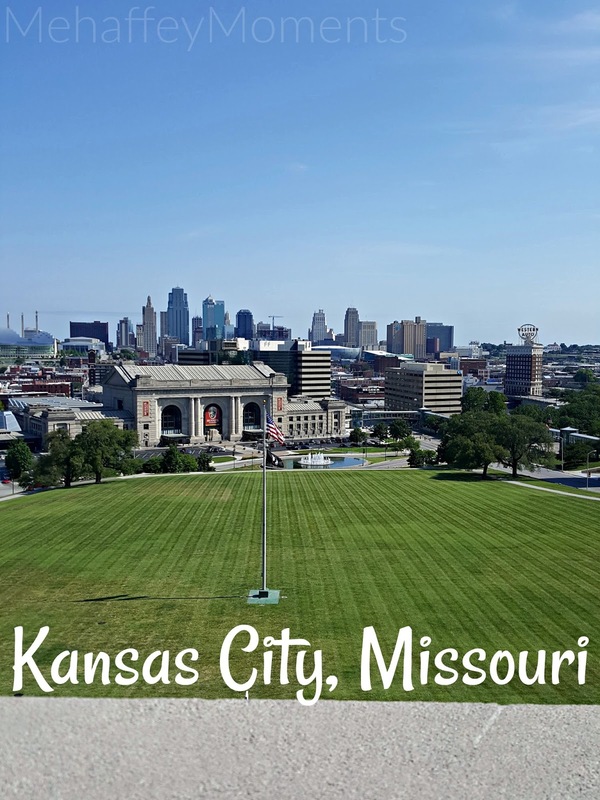 If you didn’t see our family trip to Kansas City, you can check it out here! Taking after your Aunt Kathy!! !